I've had this picnic caddy for years and I can't tell how often when I am at our pool club that someone comes over to me asking to borrow an item she forgot because... "Oh, my I don't have a cool caddy like you." Fill it up with your utensils, napkins, plates, cups, lighter, bug spray, sunscreen, salt and pepper shaker... whatever things you use at a picnic. 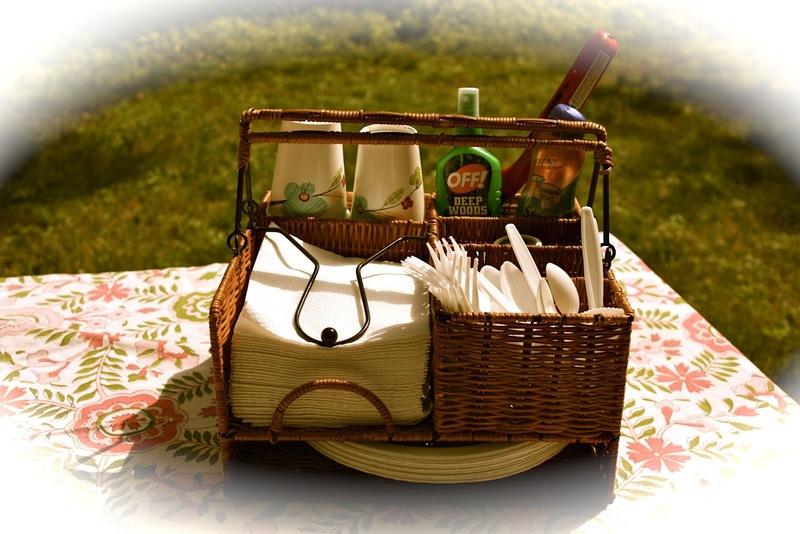 seriously, simplify your picnicking... invest in a caddy. I really love this! I had a picnic basket for awhile, but it didn't close very well. So I turned it into a shoe basket for the kids. Well at least you up cycled it! This is really different though... it just keeps the supplies for the picnic together and easy to inventory.